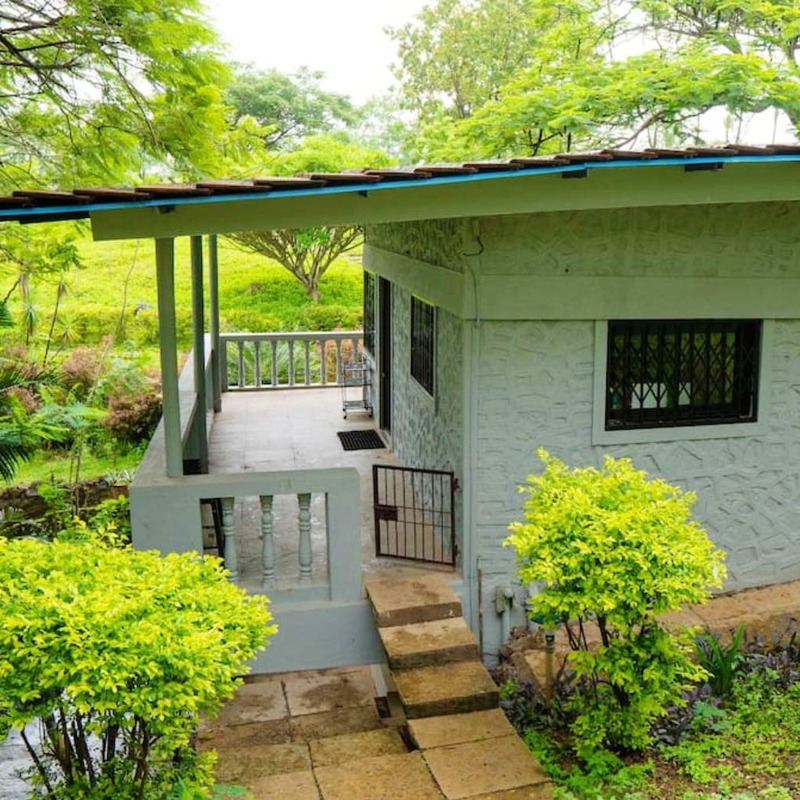 Nestling amidst the lush greenery of Talegaon Dabhane is this quaint little 1-BHK cottage by the name of Casa Piccola, which promises to charm you with its coziness. Located inside a 45-acre farmhouse, it allows you to enjoy your privacy amongst the wilderness. And if you're looking to relax after the daily hustle of Mumbai, this cottage is your go-to den. This river-view cottage is secluded from the noise of city life and is spread across huge mango and rice fields. The cottage is not only fit for a tranquil getaway for couples, friends and families, but also welcomes your furry friends with open arms. The huge verandas overlook hills and valleys and connect the garden with the house. Sip on some piping hot coffee, let the breathtaking views hypnotize you, and make some memories with your loved ones in this abode, for only INR 6,000 a night. Casa Piccola is just about a 3-hour drive away from the city, and 5 minutes away from the Indrayani River. If you want to cook your own meals, trust Casa Piccola's caretakers to help you figure it out. Let them know about the groceries you want beforehand, for them to be able to source it for you on time.